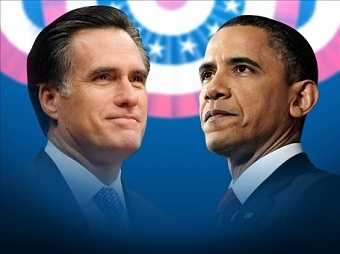 Rosenzweig Assessment in Huffington Post Would Romney or Obama make the better CEO? With the coming election less than one day away, let's pretend the United States is a large national company, and, putting politics and policy aside, let's look at the two candidates in the same way executive recruiters do when searching for top talent for client companies. In our case, as a global firm headquartered in Canada, we can do this with the distinct advantage of being at some distance from the fray. In our business, the client in a chief executive search is typically the board of directors. In this case, the board of directors of America Co. is the US electorate. Through the head-hunter's prism, Barack Obama and Mitt Romney bring to the table very different pros and cons. Business and politics are different in many, many respects. However, a chief executive and a President share certain attributes to be successful. Those attributes include the ability to lead others and the intestinal fortitude needed to make tough, sometimes unpopular, decisions. Good CEOs (and Presidents) succeed by drawing upon relevant experience, exercising honed technical skills and exhibiting a personality that ignites passion and motivation in others. One quick caveat to this analysis: Although we are presenting the candidates to the board of directors of fictional America Co., under normal circumstances we would have executed exhaustive pre-search due diligence and extensive research before coming up with at least three -- not two -- candidates. In American politics, this stage is called "the Primaries." One could argue that the major parties might well gain better results from an executive search at this stage -- a modern "smoke-filled room" approach (but without the smoke). Often the initial list of CEO prospects exceeds 100 before we start paring it down to the truly excellent candidates. In this case, the client demands different skills at different times. The need to adapt to the times is similar to business, with perhaps shorter time frames. For example, America Co. demanded the skills of a Dwight David Eisenhower at one time; and then, shortly thereafter, it wanted the very different abilities of a John F. Kennedy. This is not unlike Ford Motor Company, which looked to Bill Ford to steer the iconic auto company during one period, but soon called upon a very different type of CEO, Alan Mulally, to take the helm when circumstances demanded. Barack Obama, while decidedly light in terms of work experience prior to 2008, obviously can now list almost four years of presidential incumbency to add to his brief period as a United States Senator. But while four years of incumbency would seem the ultimate resume-builder, perceptions around performance matters, as one-term Presidents Jimmy Carter and George H. W. Bush can attest to. Obama's strengths include superb set-piece oratorical skills; the ability to attract and assemble a competent team, including the successful integration of a former rival, Hillary Clinton, into his Cabinet; a strong ethical foundation; and decisiveness in the projection of US military strength in the role of Commander in Chief. Obama's weaknesses include a projection of detachment and passivity that sometimes comes across as Spock-like (the Vulcan, not the pediatrician); a seeming disdain for those he considers intellectually inferior; a track record of inability to build coalitions or strategic partnerships with those outside his own party; a deteriorating balance sheet; and the lack of a clear narrative as to where he might take the country if given a second term. Under his watch company morale is low, although most of his references describe him as "likable" (or at least "likable enough"). Mitt Romney has extensive previous work experience, including stints as CEO at Bain and the 2002 Winter Olympic Organizing Committee. Given that the US presidency is an executive branch position, his experience as governor of Massachusetts is highly relevant. The fact that he has been running virtually non-stop since 2007 means he is fully vetted regarding past ethical lapses, of which he apparently has none that are serious (save those of the canine variety). Romney's strengths include a track record of reaching across the aisle in an overwhelming Democratic state to pass significant health care legislation and wipe out a $3 billion deficit (although reference check with Massachusetts Democrats weakened this claim somewhat); Impressive turn-around experience, both at Bain (the parent company was struggling mightily in 1991 and he took on both CEO jobs for Bain and Bain Capital) and the Salt Lake City Olympics, which looked headed for disaster until he came aboard; strong analytic skills, which he marshals well in presentations or debates; the ability to make difficult and controversial decisions when facts warranted, as demonstrated at Bain Capital; the ability to present a positive vision that includes job creation and economic growth. Romney, like Obama, also has a myriad of weaknesses. He often seems wooden and stiff and is apparently allergic to delivering stirring rhetoric; his views on many issues, including abortion, gay rights and even his own health care bill, seem to shift-shape like snow drifts in a Saskatchewan blizzard; he comes across as lacking sensitivity regarding the plight of those who lie outside his socio-economic comfort zone; and, while he does have a plan in terms of job-creation and deficit-reduction, an examination of the specifics leads to the conclusion that at some point he will have to rely on extraordinary external circumstances or blind luck (known in business forecasting circles as the "then, we add pixie dust" factor) to actually make the numbers work. When asked about Romney, his references say "Which one?" After reviewing the candidates' strengths and weaknesses, we would recommend deferring the hiring of America Co.'s next CEO. During this period, the board should commission a detailed and comprehensive search to scour the country for other, potentially stronger candidates. Extensive search, anchored in research, always optimizes the quality of candidates by locating and recruiting candidates who may not be actively looking for a change of mandate but in the end could be the ideal CEO for the job. Condoleezza Rice and Hillary Clinton come to mind. Would Romney or Obama make the better CEO?